Visitation beginning at 10:00 AM. With unending love and devotion to her family and friends, Suzanne Zieserl was a blessing to everyone she met. She experienced so many of the best things that life has to offer, but what made these things so special was sharing them with others. A stranger to none and a friend to all, Suzanne’s warm and inviting personality drew others near with ease. She was never one to worry about the little things, rather, she took whatever came her way and made the best of it. Life will never be the same without Suzanne here, but she leaves behind a priceless collection of memories that her loved ones will forever hold near and dear to their hearts. It seems only fitting that Suzanne’s journey began during a time that was as colorful as she was. It was the 1960s when civil rights took front and center in the day’s news, and we elected the young John F. Kennedy as our 35th President of the United States. There was also much to celebrate as it was the United States that was victorious in the space race with the Soviet Union as we put the first man on the moon in 1969. It was amidst this eventful time that John and Donna (Gulden) Zieserl were eagerly awaiting the arrival of their new baby as spring appeared on the horizon in Kalamazoo, Michigan, in 1963. Their wait was finally over on March 30th when the baby girl they named Suzanne Marie drew her first breath. 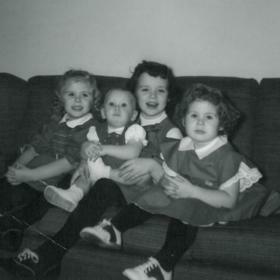 She was the fourth of five girls as she was raised in the family home in Kalamazoo alongside her sisters, Teresa, Cheryl Ann, Michele, and Patricia Jean. While growing up she looked forward to spending summer vacations up North for a week. In many ways Suzanne was a young girl of her generation. She was very outgoing, which was a character trait that remained with her for the rest of her life. Suzanne was lots of fun and was even known to be a bit crazy at times. She was into gymnastics and attended local schools. As she got a bit older, Suzanne attended Hackett where she was a cheerleader, became interested in photography, and was a social butterfly. 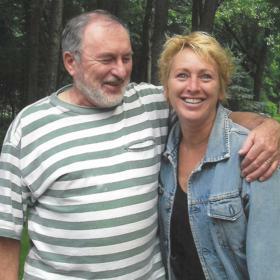 After graduating from high school in 1981, Suzanne attended Western Michigan University for one year. She then went to cosmetology school but decided it wasn’t a good fit for her after working in the industry in Florida for a few years. After returning to the Kalamazoo area, Suzanne continued to work hard in various positions over the years. She spent some time working at Wedels Nursery, becoming a master gardener. Suzanne was always good with outside landscaping in the yard. She also worked in personnel for National Flavors for a time, which was a job she loved. Suzanne spent a few years working at Stryker Instrument and doing a few other things, but her longest running job was working in bookkeeping at Kalamazoo Appraisal. This was a great fit for Suzanne since she was very detail oriented. She had most recently been working at Knight Watch. There was never anything of greater significance in her life than Suzanne’s family and friends. She enjoyed girls’ trips with her sister, going to the Kentucky Derby with her sister, taking in art shows in Chicago, and hiking up North. Suzanne had tons of friends and kept in touch, often doing things like going out to lunch or other activities. She loved visiting Chicago and the beach at South Haven, especially in high school with her best friend, Mary Outinen. Spending time with family was of the utmost importance, and she looked forward to the holidays since it was a time when everyone was together. An animal lover, Suzanne loved her dog, Scruffy, who had been with her for several years after she rescued him. Prior to that, she also enjoyed the companionship of two other Westies. As a both a nature lover and an animal lover, Suzanne enjoyed feeding deer, squirrels, and birds. Throughout her life Suzanne was a woman of many interests. She had a knack for decorating her home, and she was very artistic as well. Suzanne loved gaining inspiration from art shows. She enjoyed shopping and getting her nails done, and she also loved eating and a good glass of wine. With her social and outgoing personality, she enjoyed dancing, especially to 80s dance music. Suzanne also liked a good cup of black coffee. 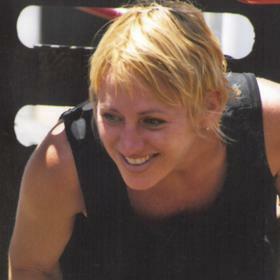 Described as energetic, generous, and thoughtful, there was no one who met Suzanne Zieserl and left unchanged. She was bubbly and outgoing with a good heart and a kind soul that drew others near with ease. When Suzanne loved, she loved with all her heart, and she was the sort of person who would do whatever she could for others. Deeply loved, she will be forever missed. 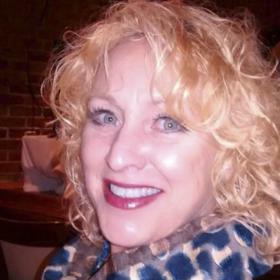 Suzanne Marie Zieserl, of Kalamazoo, died unexpectedly on January 21, 2018, at her home. 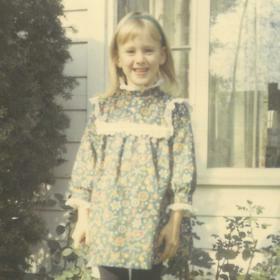 Surviving are her parents, John and Donna Zieserl; 4 sisters: Teresa MacDevitt – Delpier, Cheryl Ann Zieserl – Soderquist, Michele (Mike) Proos and Patricia Jean (Sean) Carruth; and many nieces, nephews, aunts, uncles and cousins. Visit with family and friends while sharing food and refreshments on Friday from 5-8 p.m. at the Betzler Life Story Funeral Home, 6080 Stadium Dr. Kalamazoo (269) 375-2900. Mass of Christian Burial will be celebrated Saturday 11 a.m. at St. Catherine of Siena Church. Burial will follow at Mt. Olivet Cemetery. Please visit Suzanne’s personal web page at www.betzlerfuneralhome.com, where you can archive a favorite memory or photo and sign her online guestbook before coming to the funeral home. In lieu of flowers, memorial contributions may be made to Kalamazoo Animal Rescue.